Did you know that several restaurants presenting food at Taste of Tribeca 2016 have been with us since our founding in 1994? That’s over 20 years! We’re so proud of these “Golden” Restaurant Participants, and want to take the time to highlight them here as a way of saying THANKS for their steadfast support of the festival and Tribeca public schools PS 150 and PS 234. We’ll be highlighting these restaurants and more on Facebook, Twitter and Instagram during this last week before the festival. Please continue to follow us @TasteofTribeca to learn more! 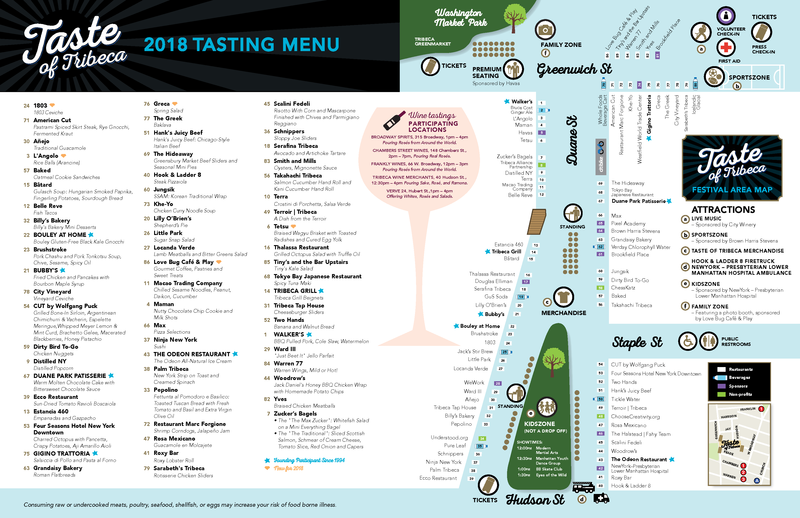 And, please come and TASTE the amazing food that our acclaimed restaurants have to offer next Saturday, May 21st, at the 22nd Annual Taste of Tribeca!